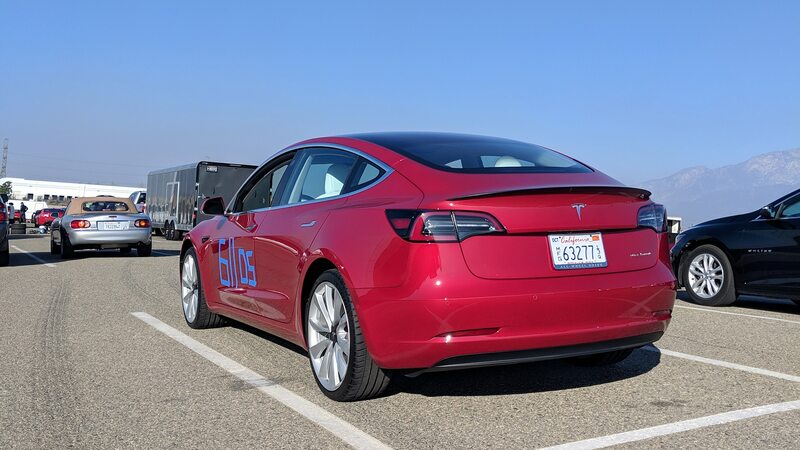 FONTANA, California — Picking up the latest Tesla Model 3 Performance Dual Motor AWD with the newest iteration of Track Mode, I wasn’t sure what to expect. 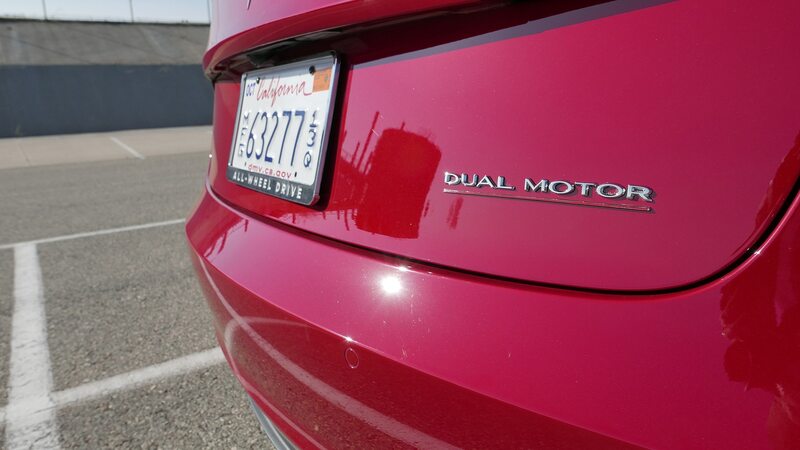 I’d only ever driven the dual-motor performance model once before, and then only for a few minutes. 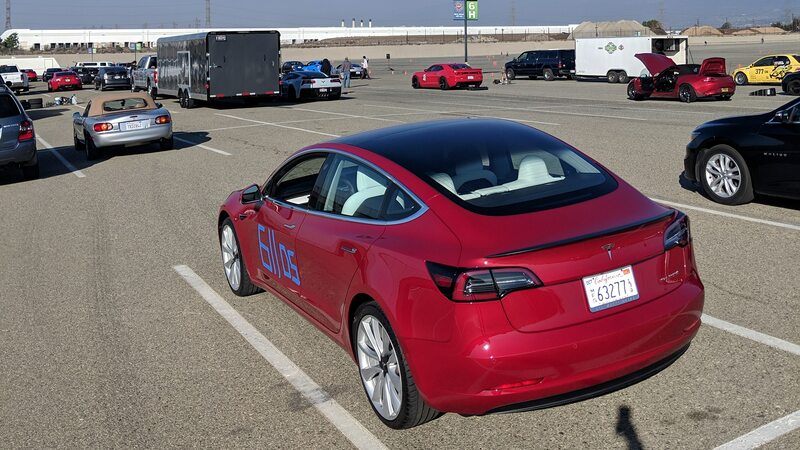 The updated Model 3 Track Mode was recently released to the public after some tuning work by racer and test car driving ace Randy Pobst of sister brand Motor Trend. And though the video they posted about it was plenty informative, you can only tell so much through a screen. 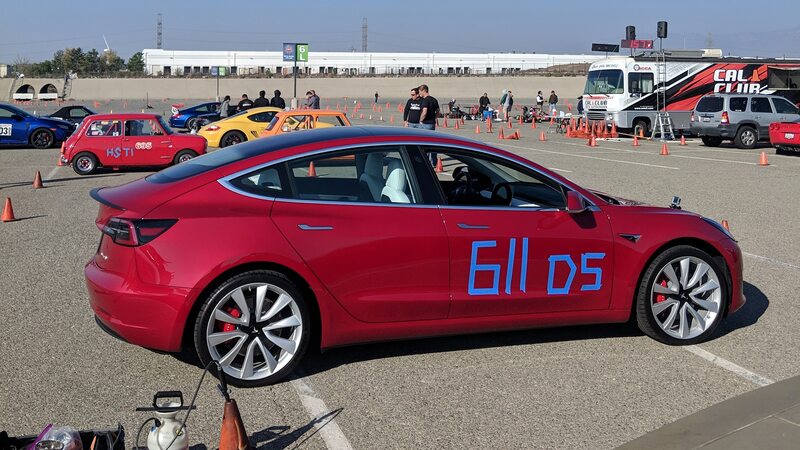 Fortunately I didn’t have long to wait to find out what Track Mode was all about, as I’d entered an autocross for this past Sunday. 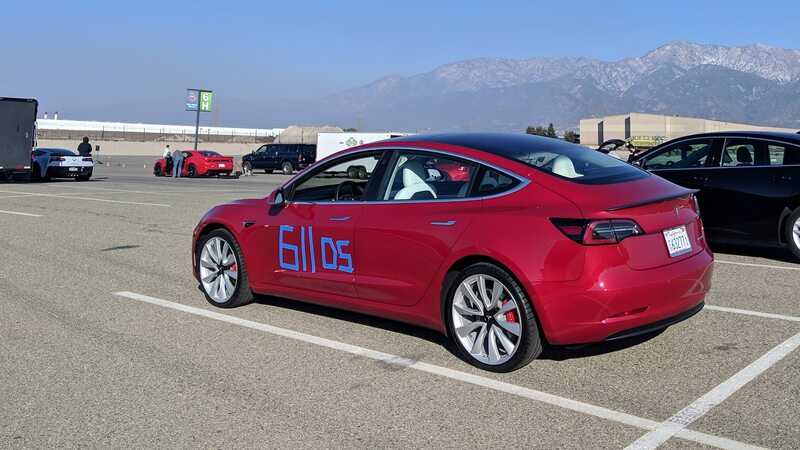 A Cal Club event at the Auto Club Speedway in Fontana, it’s the home site to a double handful of some of the fastest autocrossers in the nation. 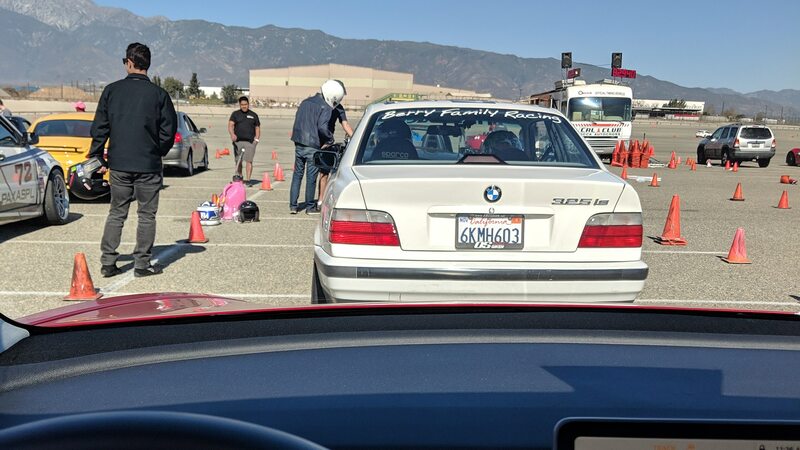 If you’re not familiar, autocross is basically a miniaturized time trial event. 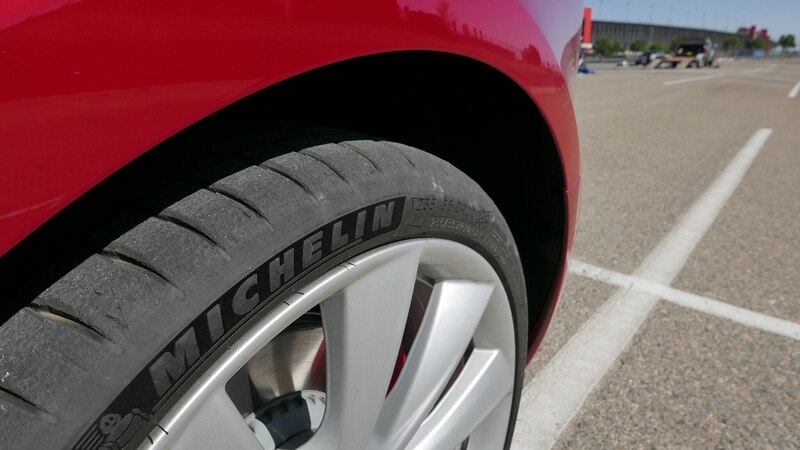 The peak speeds are lower than you’d typically see on a road course, but the cornering forces can be just as high or higher, and you’re facing the corners many more times per minute—sometimes multiple per second, as in a slalom. 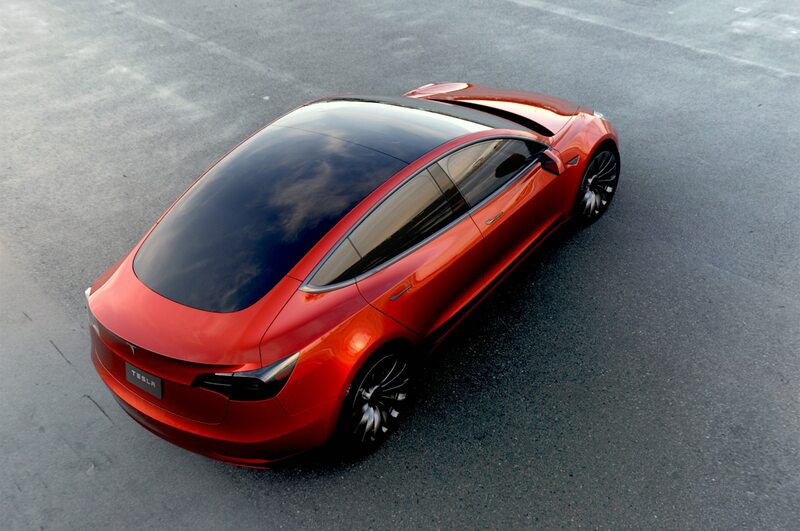 My initial observation wasn’t directly related to how the car drives, but instead to how it is powered. 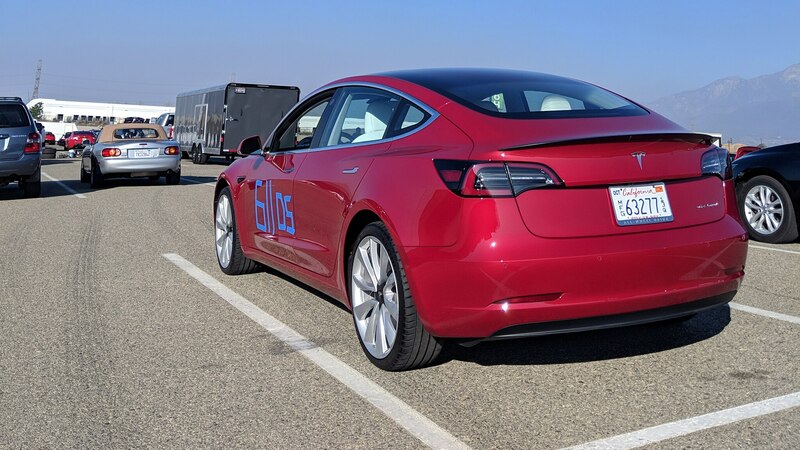 I’d picked up the Model 3 with about 94 percent charge (it reported 291 miles range out of a theoretical 310 mile max). 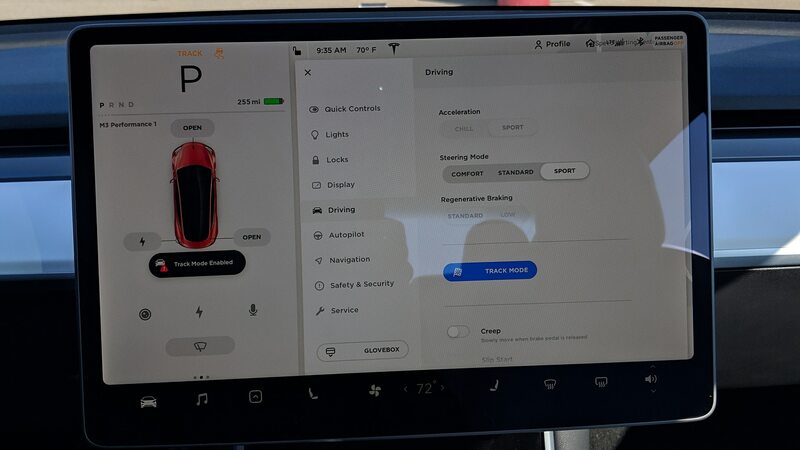 After spending Saturday running nearby errands, the estimator said I had 261 miles of range available when I slipped behind the wheel at 5:30 a.m. Sunday morning. 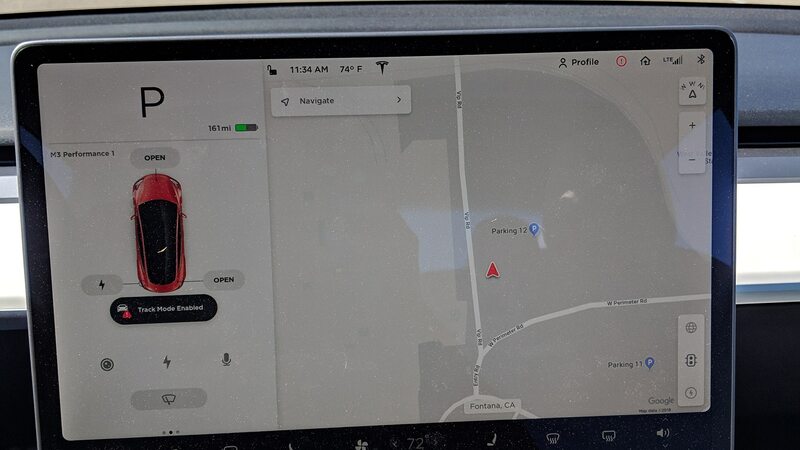 By the time I’d arrived at the Tesla Supercharger in Rancho Cucamonga (the closest to the event site) a little over an hour later, the car was reporting 141 miles of range. 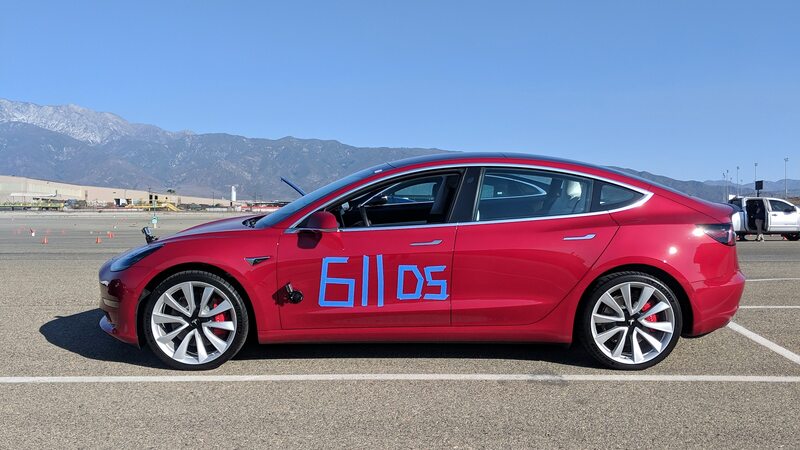 It had eaten nearly double the 62-mile actual distance thanks, most likely, to the 50-degree morning … and my somewhat brisk freeway pace. 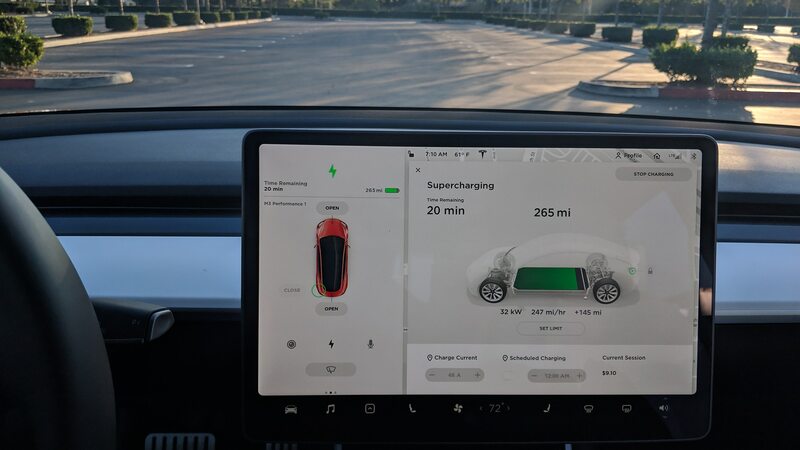 When I’d worked all this out the day before, I’d figured arriving at the supercharger, a 15-minute drive from the event site, by 6:30 a.m. would give me ample time to charge, seeing as these were the 120-kW chargers that can top up a battery to 100 percent in about 75 minutes. 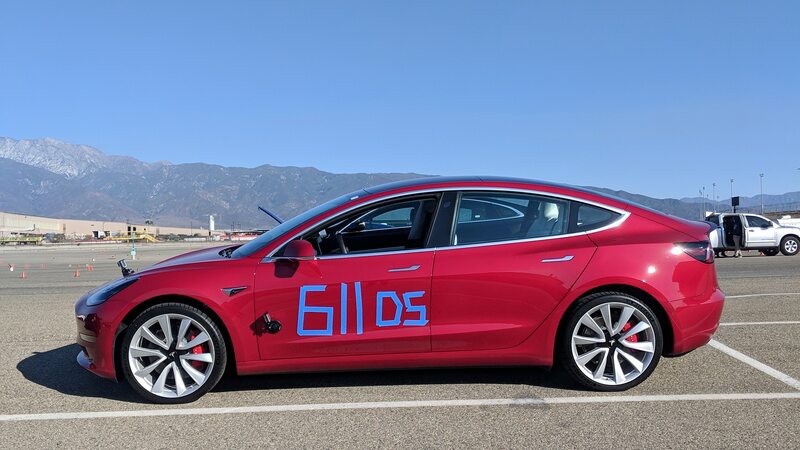 The problem was that I’d expected to have about 200 miles of range, and therefore only need to add another 80-90 miles to be near the 95-percent ideal for track mode effectiveness. That should, in theory, have taken about 30 minutes. 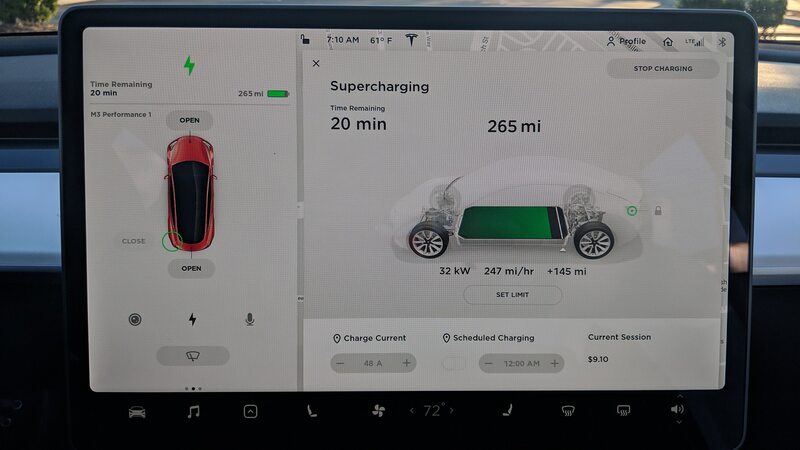 But since in reality I needed to add more like 150 miles or so of range, I wasn’t able to get the charge level back up to the ideal 95 percent zone and still make it to the event on time. 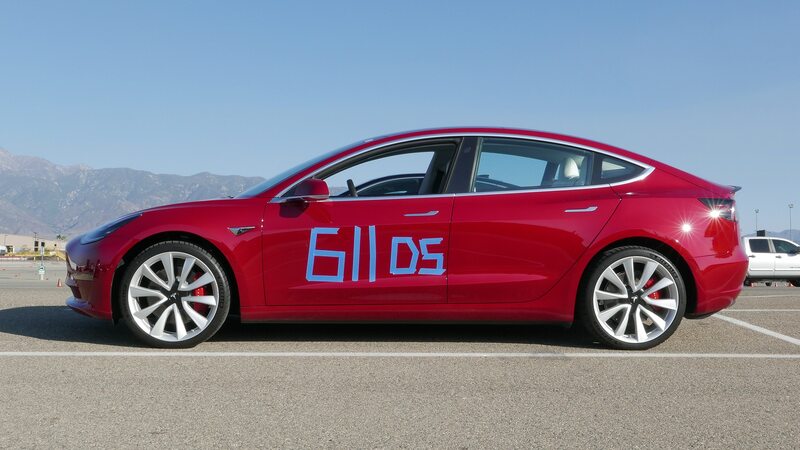 I got it back up to 265 miles of range at the Supercharger, and arrived at the autocross with 255 miles. 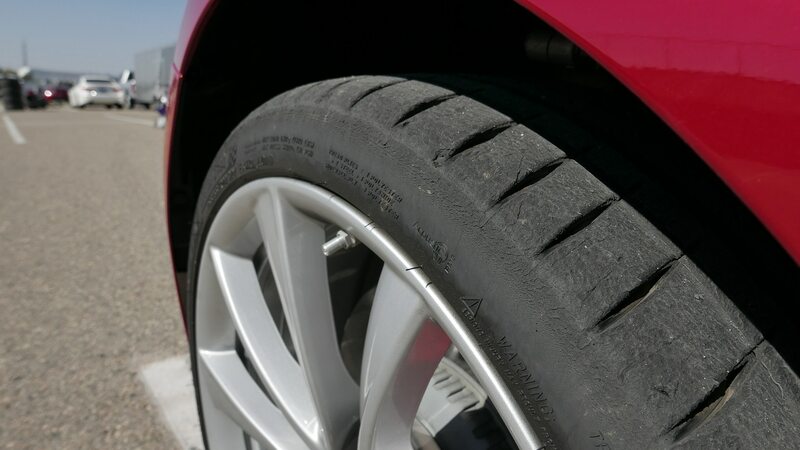 I’m sure you’d figure these quirks out within a year of ownership (once you’d experienced all the seasons), but those of us who live the weekend warrior performance driving life know that sometimes schedules are very compressed. So you should know there’s a bit of a learning curve here, and you can’t just get a splash of 91-octane (or better) at the nearest pump when you’ve got 5 minutes to the end of registration. Plan ahead or you’ll risk a long drive early on a Sunday just to be a spectator. That, or put it on a trailer. But please, really, don’t. This is a great street car, and it begs to be driven to and from every event it enters. 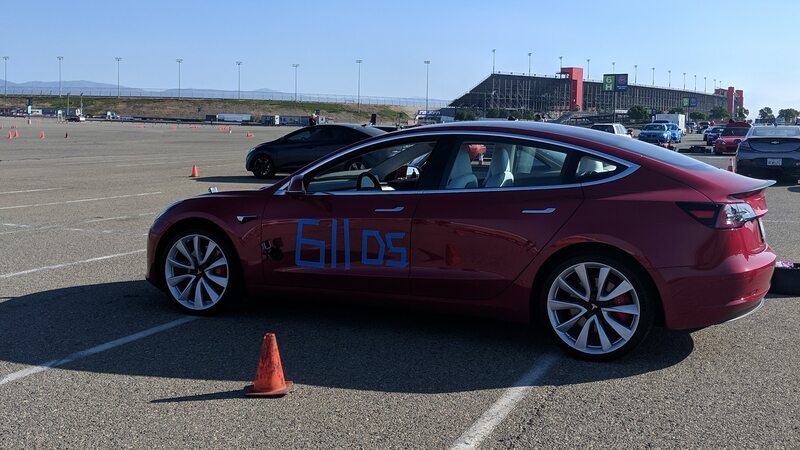 By the time I’d made it to the autocross course, the surprises were over. It was a windy day, even by Fontana standards, and cool in the morning, warming toward the middle of the day. The surface is older asphalt, a bit eroded on the surface, with a smooth aggregate that doesn’t hold too tightly in its tarry bed. My run group was up first, which meant we’d see the dirtiest, coolest surface—in other words, the least grip—of the day. 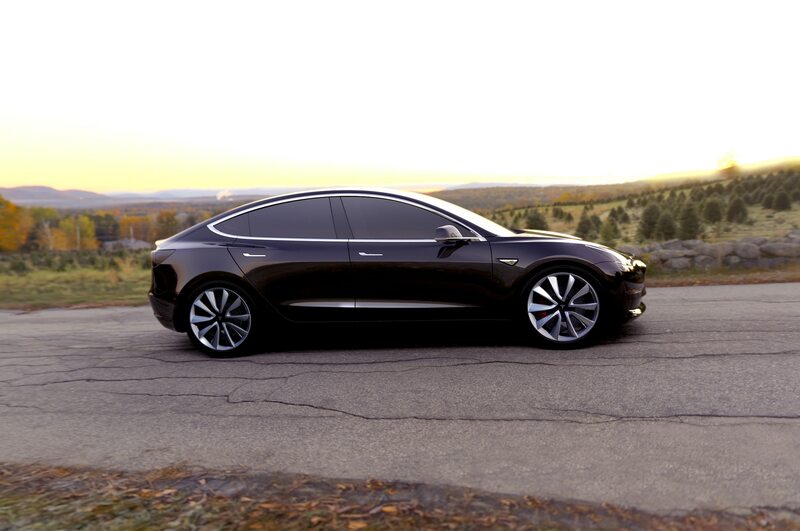 But I figured that might actually work to my advantage, driving a high-torque all-wheel-drive sport sedan. As it turned out, I think I was correct. 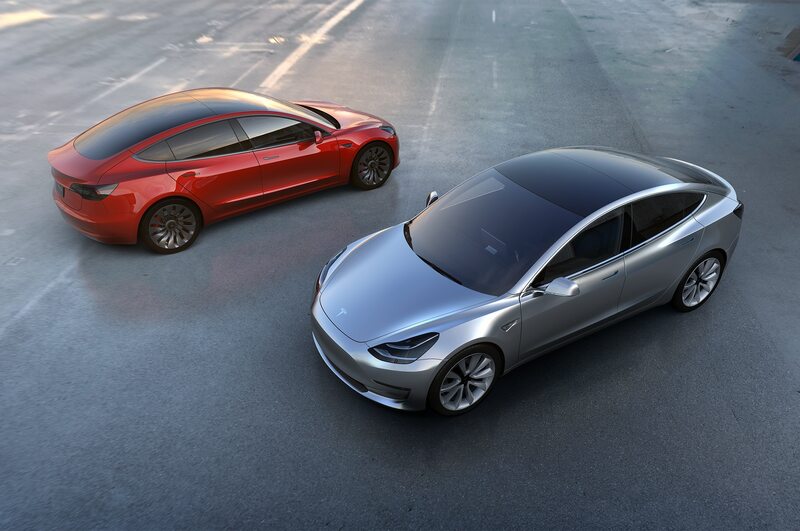 Setting up the Tesla Model 3 for track or autocross use is simple: Get in, put your foot on the brake, wave the card that serves as your key over the magic spot in the console, tap the little car icon on the screen, tap the Driving tab, then tap the Track Mode button, then tap it again on the little warning screen that pops up to confirm. Now all you have to do is not get out of the car. If you do, you’ll have to repeat that little process again. It seems like a lot when it’s written out, but in reality it’s only a couple of second procedure once you’ve done it a few times. Pull up to the line, wait for the starter to give you the green flag, and then mash the face-stretching pedal. 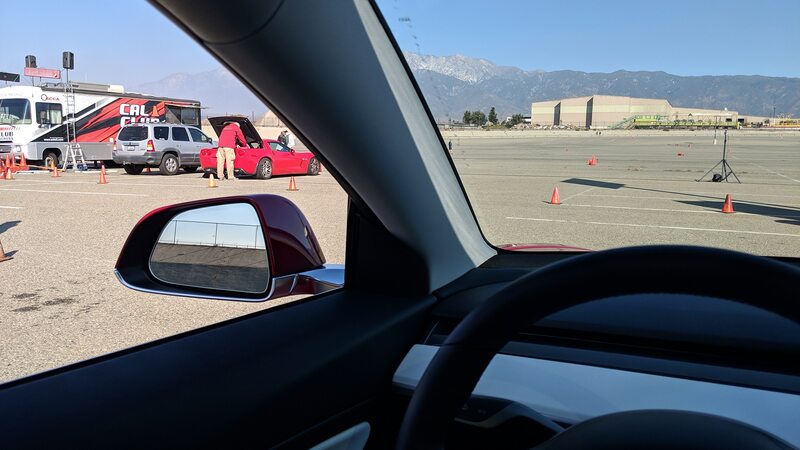 More than five times (I stopped counting) I had experienced autocrossers stepping out of their own high-horsepower rides to comment on how insane the Model 3’s acceleration looks, even from nearly a quarter-mile away. 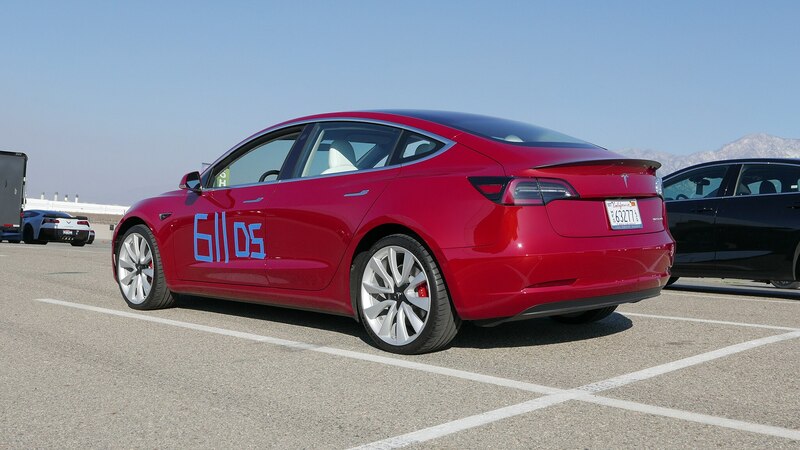 It’s really, really quick, especially in the 20-80 mph range, which is perfect for autocross work. 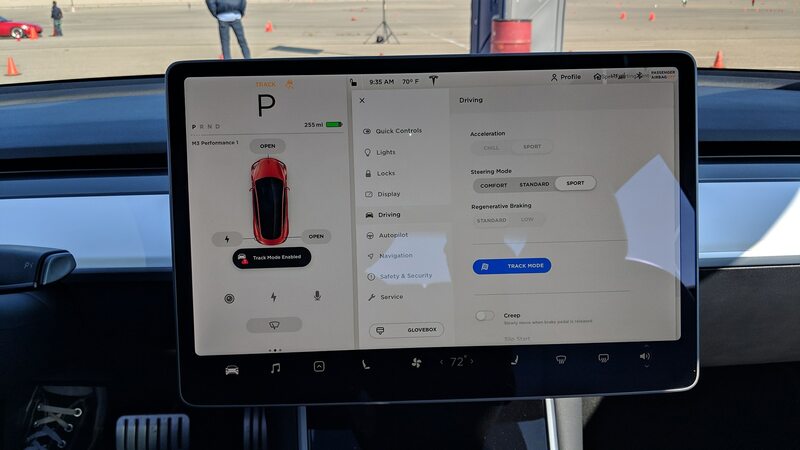 That first mash will start a powerslide, which, hopefully, you can just keep arcing into the braking zone, because holy heck, you’re already in it. 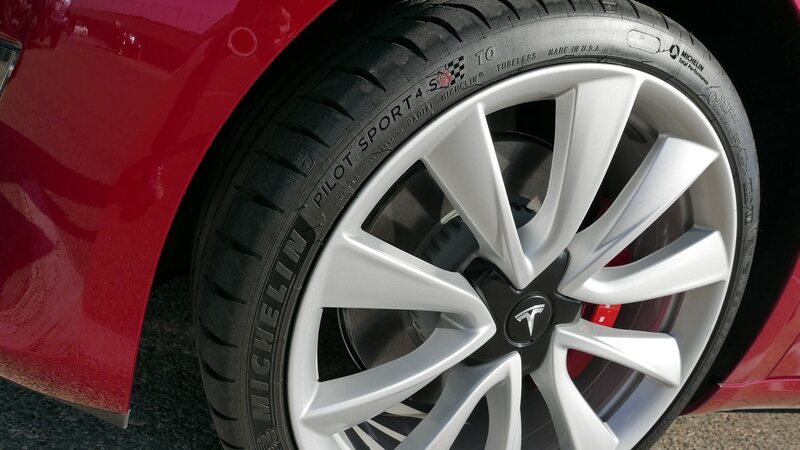 Lift off the throttle before going to brake because you’re not sure how it’ll like pedal overlap and before you even get to the brake pedal the car’s already rotating because the computer is using the energy regeneration function on the electric motors to do what is essentially negative torque vectoring. It’s really smart, surprisingly accurate, and very fun—up to a point. 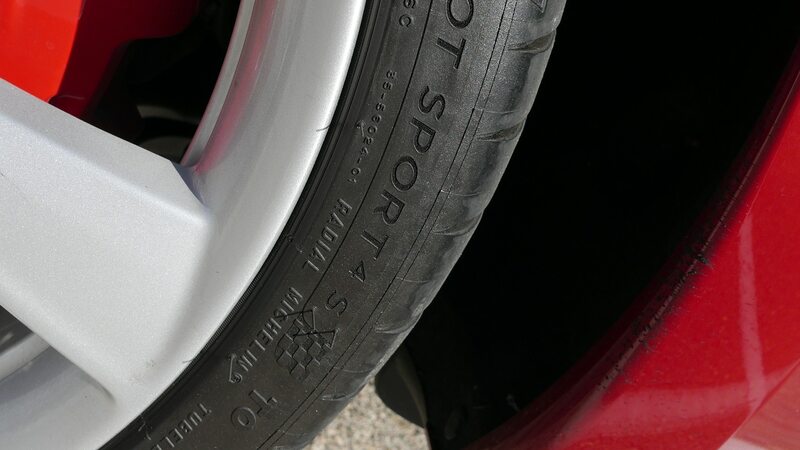 That point is when you need to press in hard to the real brakes, the Brembo-sourced big-disc baddies that normally deliver excellent pedal feel and consistent stopping force. Unfortunately, the otherwise stellar hardware seems to be let down somewhere along the way. It’s almost as if the ABS tune still isn’t quite right, even after Pobst’s recent go at it. 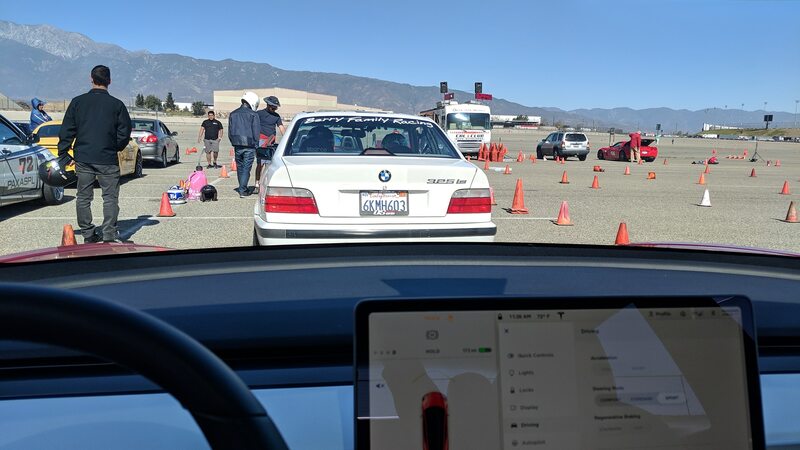 Braking into a fast, bumpy, tight left-hander at the upper portion of the course, the car went into what I’d call “ice mode,” significantly reducing braking effectiveness and giving me a moment of doubt as to my ability to avoid the railing bounding the event site. Fortunately I managed to get the car a bit straighter, release the brakes, and then re-apply them to remain within the course. 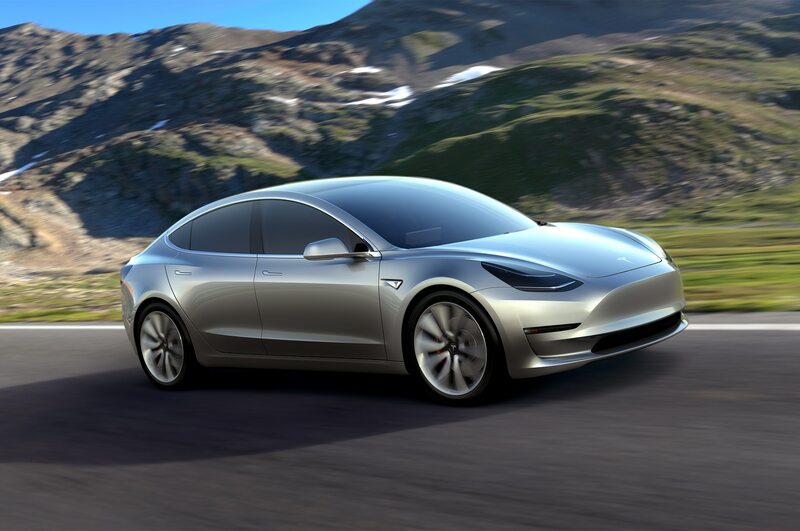 ABS tuning has been a pain point for the Model 3, but it has been greatly improved already, and I expect to see further improvements here soon, too. That one little moment aside (I did modify my approach to that corner so as to avoid provoking it as much as I could), I learned quite a bit about how Track Mode handles, or perhaps I should say interprets, hard driving, from restrained and tidy all the way to a tenth or two past 10. 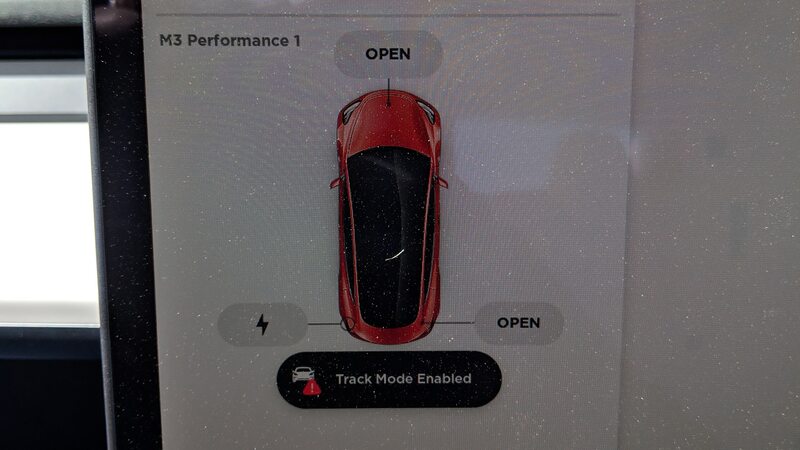 Track Mode’s main feature appears to be that it allows a great deal of yaw and wheel spin before intervening to stop you from whatever ham-fisted course you’ve chosen. 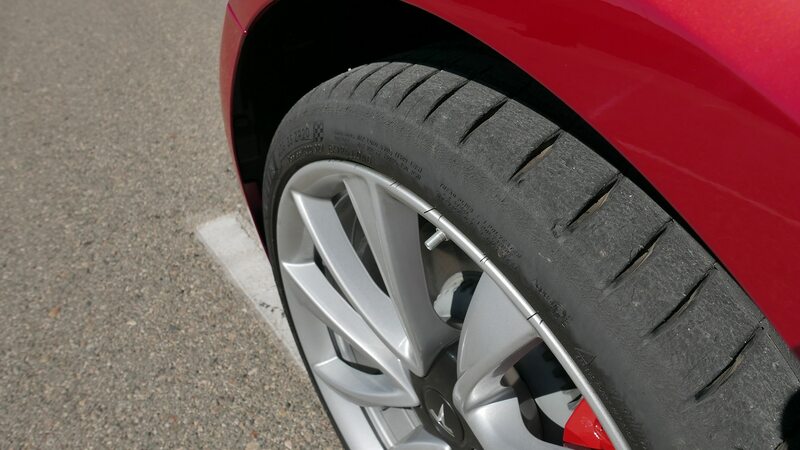 Step on the throttle with a bit of angle to the steering, and you can feel the system vectoring torque around to help enhance your desired rotation. Lift off and you can feel it even more—the car rotates almost maniacally on turn-in so long as you’re not hard on the brakes, a decidedly un-typical production car tune. It’s tremendous fun. You can really lean into it and the car just keeps on taking it. But once you get past the big slides and want to start hitting apexes and shaving down your time, you have to realize that you must come to the car; it will not come to you. 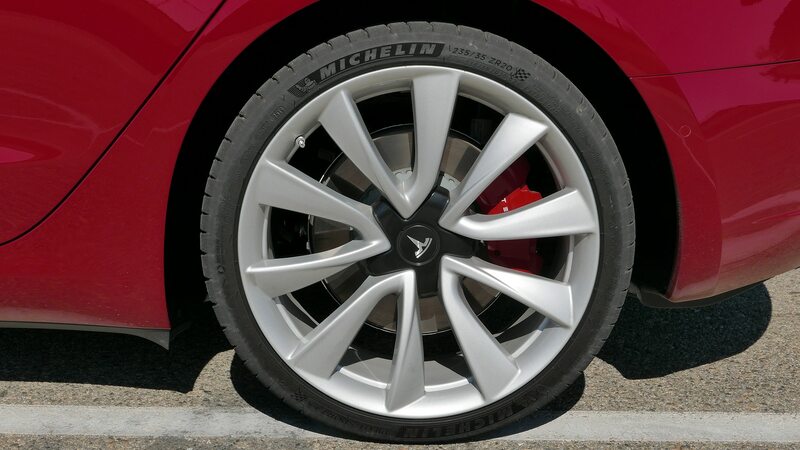 I certainly haven’t fully figured out how to drive the Tesla Model 3 Performance to its limits yet; I’d want another week of Sundays to have even a solid start, but there’s some magic to be had re-learning corner entry to include a moment of pure regen braking, I think, and some more time to be gained learning just how early you can open the gates on all that electric torque. There’s no Corvette-style PTM system there witching you into, through, and out of corners. 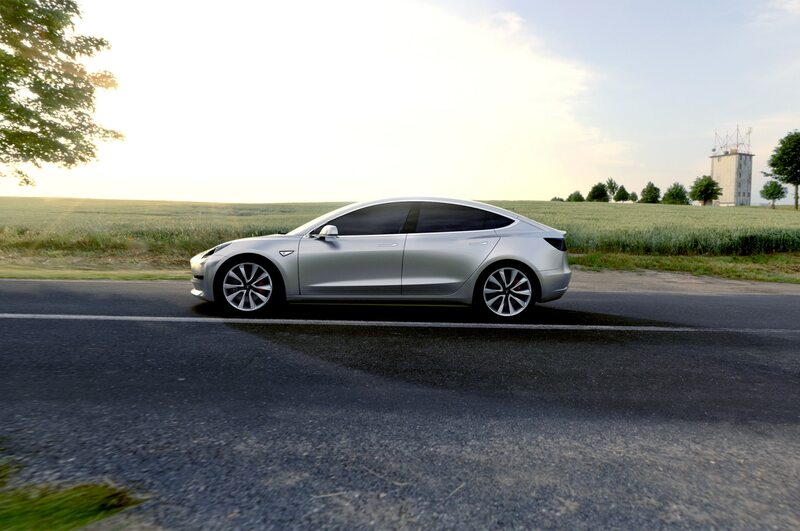 Come in too hot, and the Model 3 will understeer until you’ve bled enough speed. If you give it a bit too much throttle, it will slide and slide and slide, laying the loveliest of carbon-black strips behind. 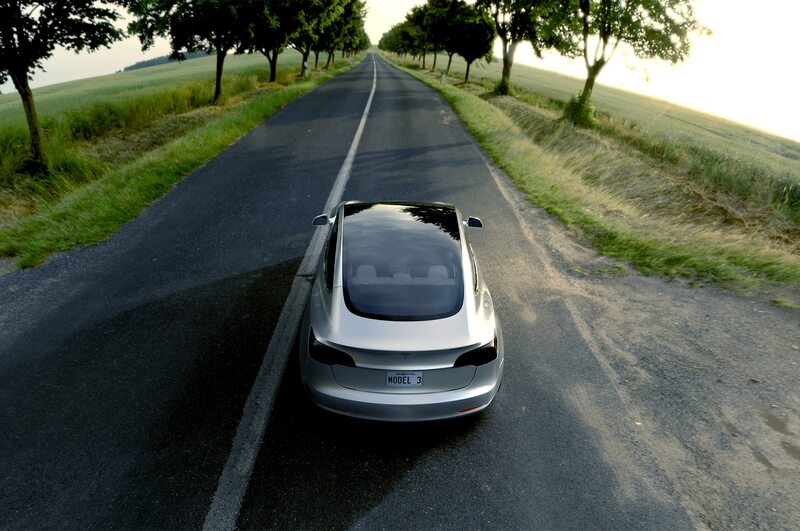 For these reasons, I strongly advise owners of Model 3s with Track Mode to follow Tesla’s recommendation that you do not engage Track Mode on the street. This isn’t a performance-enhancing safety net. It’s just enough rope to hang yourself if you don’t know what you’re doing. Fortunately I have at least some idea of what I’m doing, as I won my class at the autocross and brought the car back as shiny as I got it. 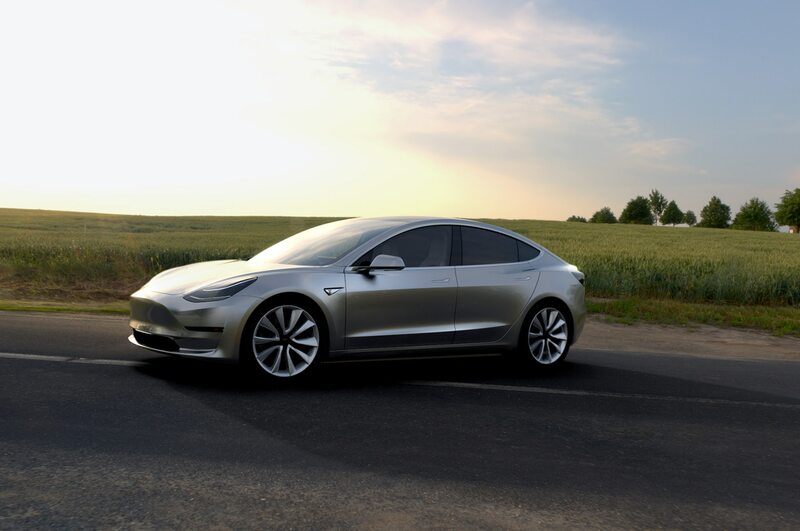 A few months ago, when I drove the Model 3 Performance Dual Motor AWD for the first time, I said that it felt like it might be the perfect enthusiast’s car. And while it certainly has its quirks, they’re just that. Quirks. Personality. It’s a car that allows you to play, and even helps you, but does not do the playing for you. 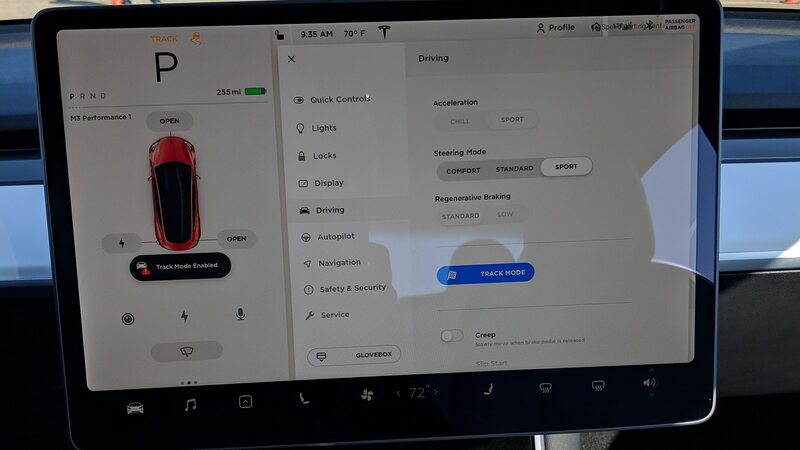 If you were to get the Enhanced Autopilot system in addition to all the performance and Track Mode goodies, it might truly be the best of both worlds: a comfy, green car that will (mostly) help you through the slog of traffic, but also a fire-breathing monster that will leave you (almost totally) in control on the track.